To determine the concentration of alkali and alkaline earth metals in various samples. Atomic spectroscopy is thought to be the oldest instrumental method for the determination of elements. 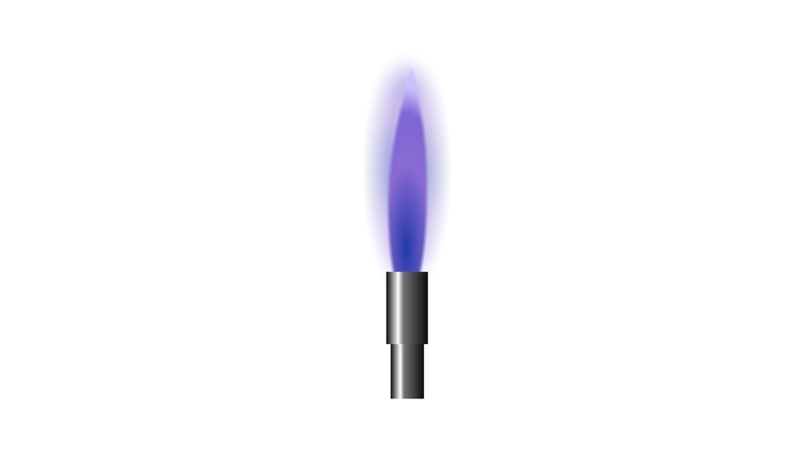 These techniques are introduced in the mid of 19th Century during which Bunsen and Kirchhoff showed that the radiation emitted from the flames depends on the characteristic element present in the flame. 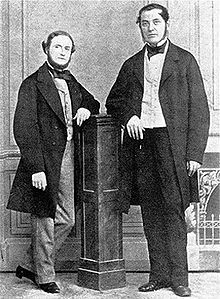 The potential of atomic spectroscopy in both the qualitative as well as quantitative analysis were then well established. The developments in the instrumentation area led to the widespread application of atomic spectroscopy. Atomic spectroscopy is an unavoidable tool in the field of analytical chemistry. It is divided into three types which are absorption, emission, and luminescence spectroscopy. 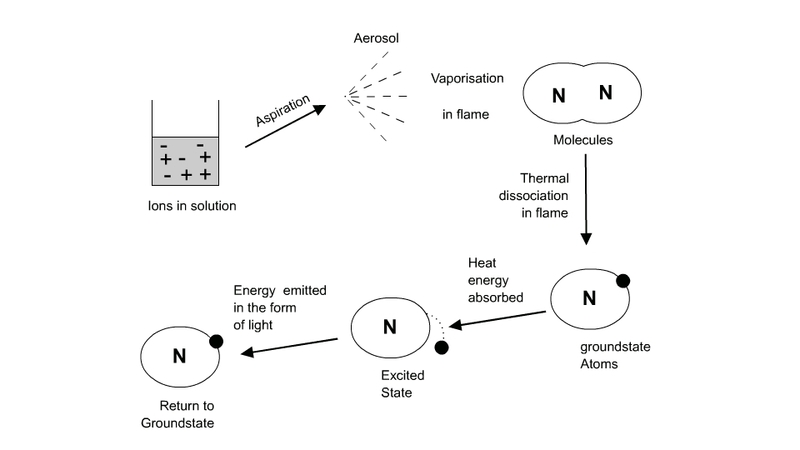 The different branches of atomic absorption spectroscopy are (1) Flame photometry or flame atomic emission spectrometry in which the species is examined in the form of atoms (2) Atomic absorption spectrophotometry, (AAS), (3) Inductively coupled plasma-atomic emission spectrometry (ICP-AES). Photoelectric flame photometry, a branch of atomic spectroscopy is used for inorganic chemical analysis for determining the concentration of certain metal ions such as sodium, potassium, lithium, calcium, Cesium, etc. In flame photometry the species (metal ions) used in the spectrum are in the form of atoms. The International Union of Pure and Applied Chemistry (IUPAC) Committee on Spectroscopic Nomenclature has recommended it as flame atomic emission spectrometry (FAES). The basis of flame photometric working is that, the species of alkali metals (Group 1) and alkaline earth metals (Group II) metals are dissociated due to the thermal energy provided by the flame source. Due to this thermal excitation, some of the atoms are excited to a higher energy level where they are not stable. The absorbance of light due to the electrons excitation can be measured by using the direct absorption techniques. The subsequent loss of energy will result in the movement of excited atoms to the low energy ground state with emission of some radiations, which can be visualized in the visible region of the spectrum. The absorbance of light due to the electrons excitation can be measured by using the direct absorption techniques while the emitting radiation intensity is measured using the emission techniques. The wavelength of emitted light is specific for specific elements. A burner that provides flame and can be maintained in a constant form and at a constant temperature. Helps to transport the homogeneous solution of the substance into the flame at a steady rate. The optical system comprises three parts: convex mirror, lens and filter. The convex mirror helps to transmit light emitted from the atoms and focus the emissions to the lens. 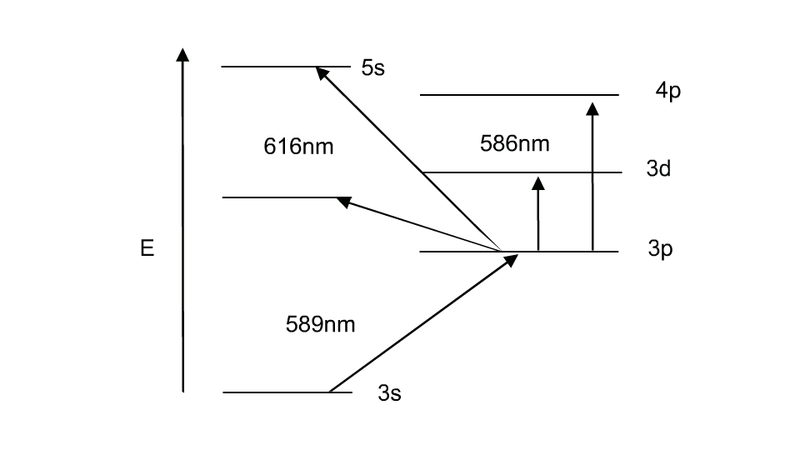 The convex lens help to focus the light on a point called slit. The reflections from the mirror pass through the slit and reach the filters. This will isolate the wavelength to be measured from that of any other extraneous emissions. Hence it acts as interference type color filters. 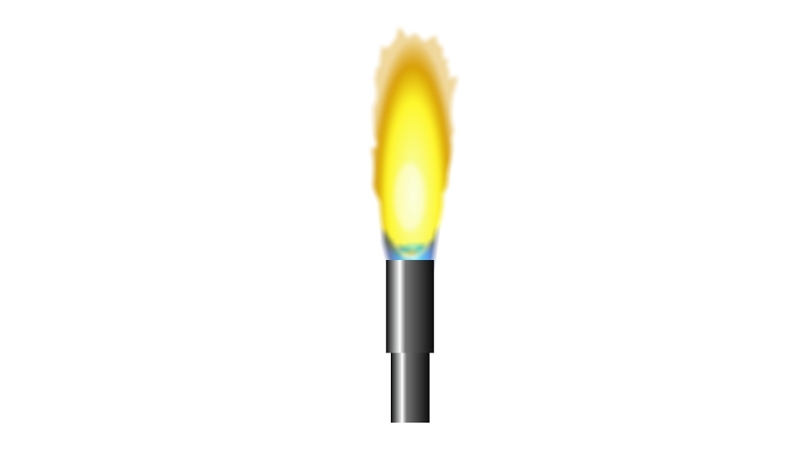 Detect the emitted light and measure the intensity of radiation emitted by the flame. That is, the emitted radiation is converted to an electrical signal with the help of photo detector. The produced electrical signals are directly proportional to the intensity of light. 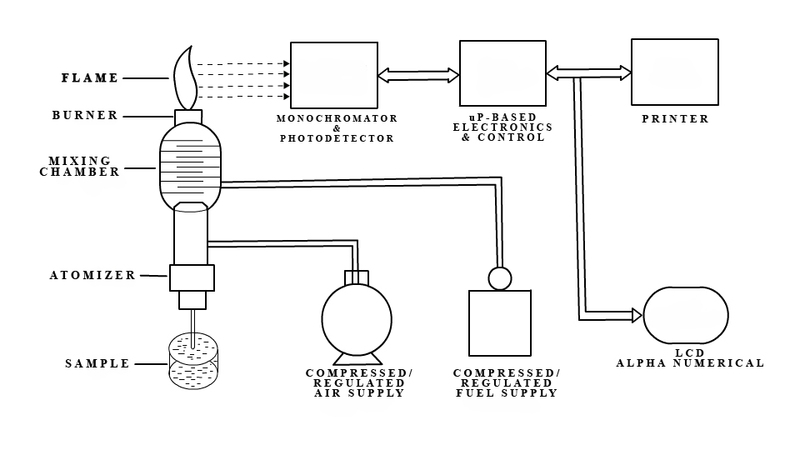 The working of the flame photometer involves a series of steps which is discussed in the following sections. The solution of the substance to be analyzed is first aspirated into the burner, which is then dispersed into the flame as fine spray particles. 1. The solvent is first evaporated leaving fine divided solid particles. 2. This solid particles move towards the flame, where the gaseous atoms and ions are produced. 3. The ions absorb the energy from the flame and excited to high energy levels. 4. When the atoms return to the ground state radiation of the characteristic element is emitted. 5. The intensity of emitted light is related to the concentration of the element. Flame photometry employs a variety of fuels mainly air, oxygen or nitrous oxide (N2O) as oxidant. 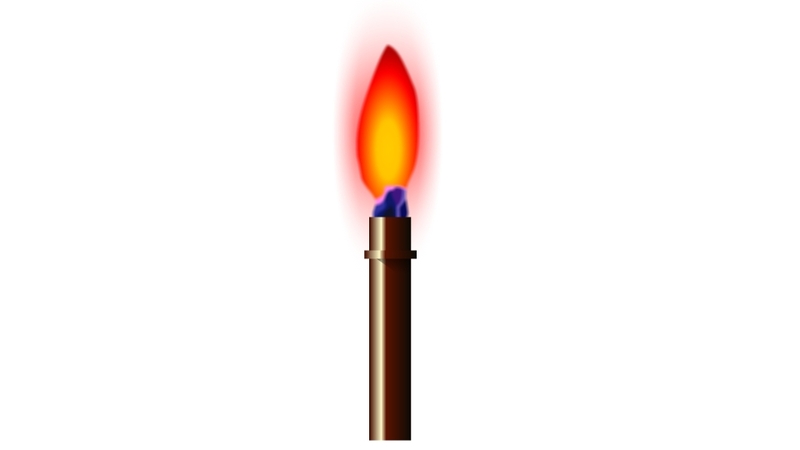 The temperature of the flame depends on fuel-oxidant ratio. 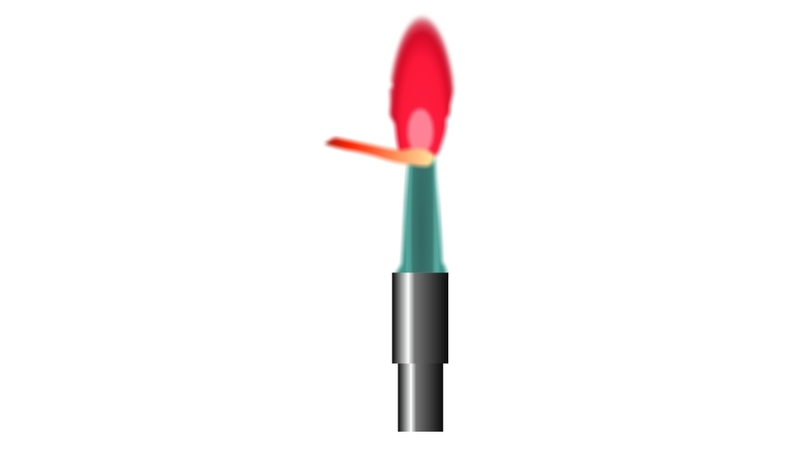 Desolvation: The metal particles in the flame are dehydrated by the flame and hence the solvent is evaporated. Vapourisation: The metal particles in the sample are dehydrated. This also led to the evaporation of the solvent. 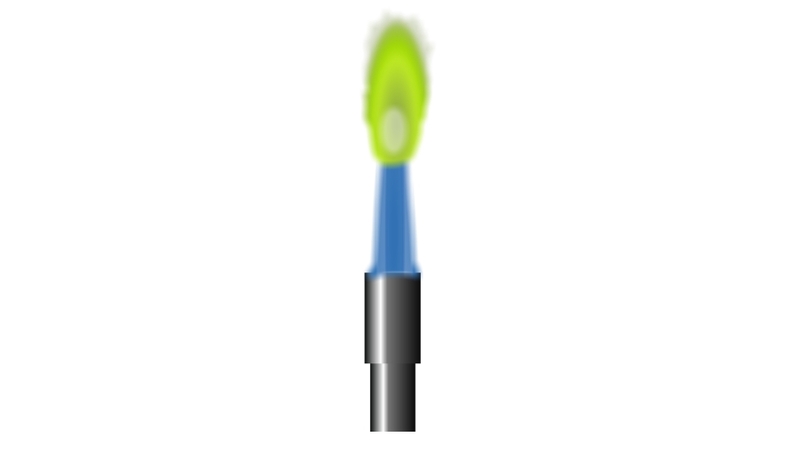 Atomization: Reduction of metal ions in the solvent to metal atoms by the flame heat. Excitation: The electrostatic force of attraction between the electrons and nucleus of the atom helps them to absorb a particular amount of energy. The atoms then jump to the exited energy state. Emission process: Since the higher energy state is unstable the atoms jump back to the stable low energy state with the emission of energy in the form of radiation of characteristic wavelength, which is measured by the photo detector. That is the intensity of emitted light is directly related to the concentration of the sample. The comparison of emission intensities of unknown samples to either that of standard solutions (plotting calibration curve), or to those of an internal standard (standard addition method), helps in the quantitative analysis of the analyte metal in the sample solution. Flame photometer has both quantitative and qualitative applications. 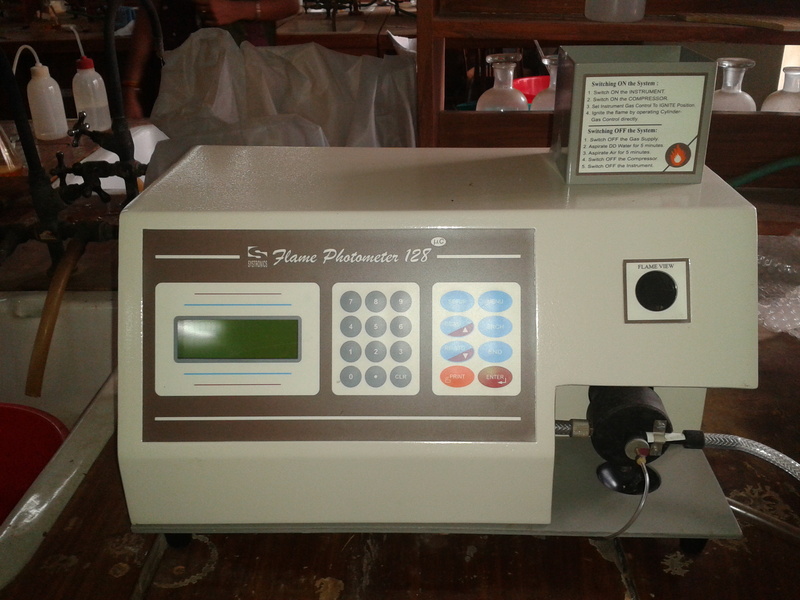 Flame photometer with monochromators emits radiations of characteristic wavelengths which help to detect the presence of a particular metal in the sample. This help to determine the availability of alkali and alkaline earth metals which are critical for soil cultivation. In agriculture, the fertilizer requirement of the soil is analyzed by flame test analysis of the soil. In clinical field, Na+ and K+ ions in body fluids, muscles and heart can be determined by diluting the blood serum and aspiration into the flame. Analysis of soft drinks, fruit juices and alcoholic beverages can also be analyzed by using flame photometry. Simple quantitative analytical test based on the flame analysis. The determination of elements such as alkali and alkaline earth metals is performed easily with most reliable and convenient methods. Quite quick, convenient, and selective and sensitive to even parts per million (ppm) to parts per billion (ppb) range. The concentration of the metal ion in the solution cannot be measured accurately..
A standard solution with known molarities is required for determining the concentration of the ions which will corresponds to the emission spectra. It is difficult to obtain the accurate results of ions with higher concentration. The information about the molecular structure of the compound present in the sample solution cannot be determined. The elements such as carbon, hydrogen and halides cannot be detected due to its non radiating nature.